Skin is a beautiful yet sensitive component of the human body. While you can’t always prevent damage to your skin, you can always nurture it using skin care treatments to ensure that it remains as youthful, bright and healthy as possible. Microneedling in Los Angeles is a popular, effective skin care service that you simply won’t want to miss out on. 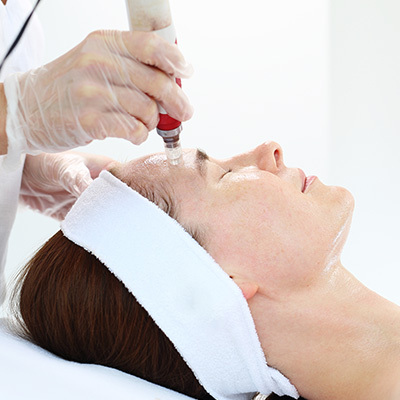 What is a Microneedling Facial? Otherwise known as collagen induction therapy, microneedling is a skin rejuvenation treatment that involves the use of fine needles to create a multitude of tiny punctures in the skin’s top layer. While this may sound like it could hurt, microneedling facials are both painless and harmless to the skin. This treatment is done using a tool that stimulates natural skin healing and promotes cell turnover. Microneedling facials at Face of Jules typically last 75 minutes, and can be combined with an excellent stem cell treatment. One of the reasons why microneedling, first introduced in 1995, continues to increase in popularity as a skin care treatment is that it provides many highly-desired benefits. By promoting the destruction of old and aging skin and the subsequent development of new skin, microneedling helps reduce fine lines and wrinkles. For patients struggling with acne and acne scars, microneedling facials can help manage the acne and repair visible acne scars. The dermapen used during the treatment stimulates the production of collagen in and around your pores, causing them to plump and shrink if not close entirely. As you age, your skin may start to loosen. Microneedling works to ensure that your skin is as youthful, firm and appealing as possible. These facials also help reverse sun damage and the effects of hyper-pigmentation. It accomplishes this mainly through the stimulation of collagen production. There are many additional benefits of microneedling, and we’d be happy to discuss all of them with you. 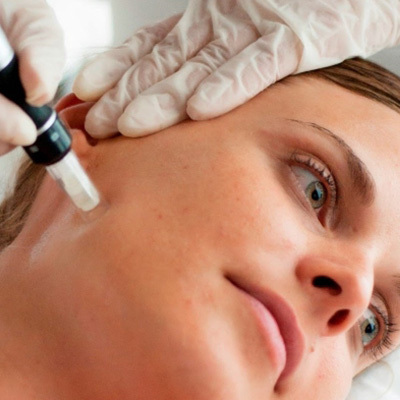 With all of the benefits highlighted above, there are many important reasons to try a microneedling treatment as part of your overall skin care regimen. While there may be other skin care clinics around Los Angeles, none perform microneedling facials as well as Face of Jules does. Our knowledgeable, experienced estheticians is renowned for their microneedling work along with other skin rejuvenation treatments such as waxing, signature facials and microdermabrasion. Visit us today and try a superior Los Angeles microneedling treatment. At Face of Jules, you get luxurious professional service and an experience you won’t soon forget. Encouraging skin health and enhancing our clients’ beauty are top priorities. Call Face of Jules now at (310) 770-8730 or schedule an appointment.